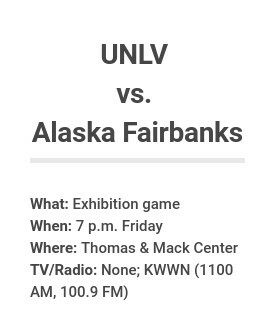 UNLV’s basketball team plays an exhibition against Alaska Fairbanks at 7 p.m. Friday at the Thomas & Mack Center. 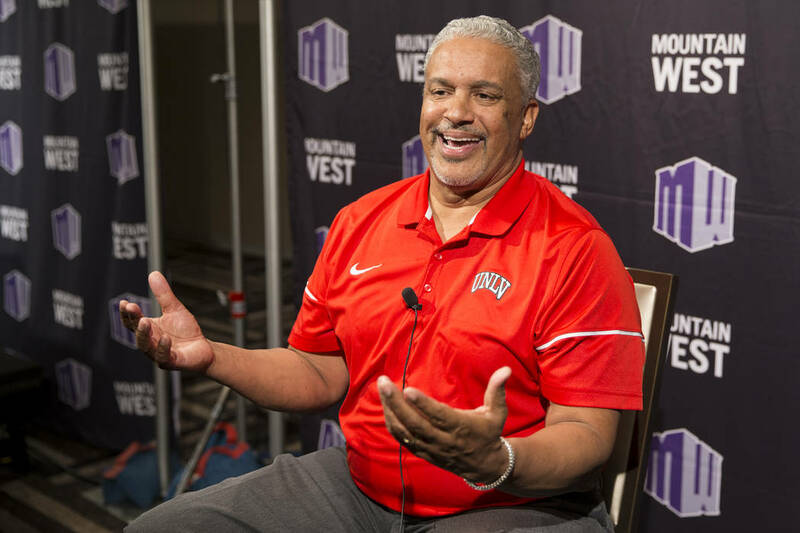 The game will provide clues about what to expect this season from the Rebels. 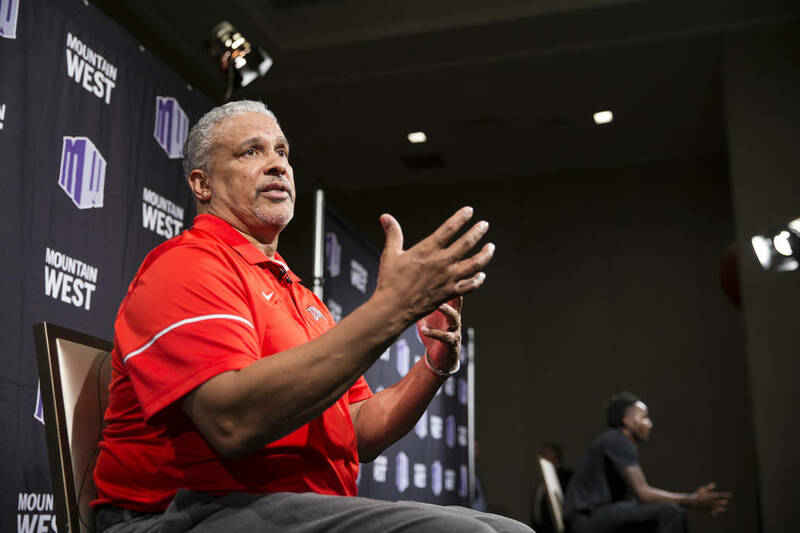 The real thing doesn’t begin for about a week, but Friday’s exhibition basketball game is still a chance for UNLV to face players in a different uniform. 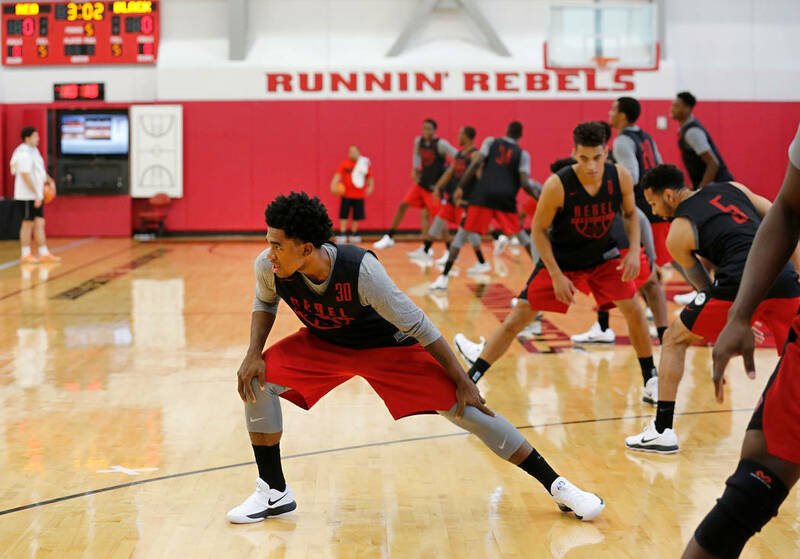 The Rebels host Alaska Fairbanks at 7 p.m. at the Thomas & Mack Center. The game will not be televised. 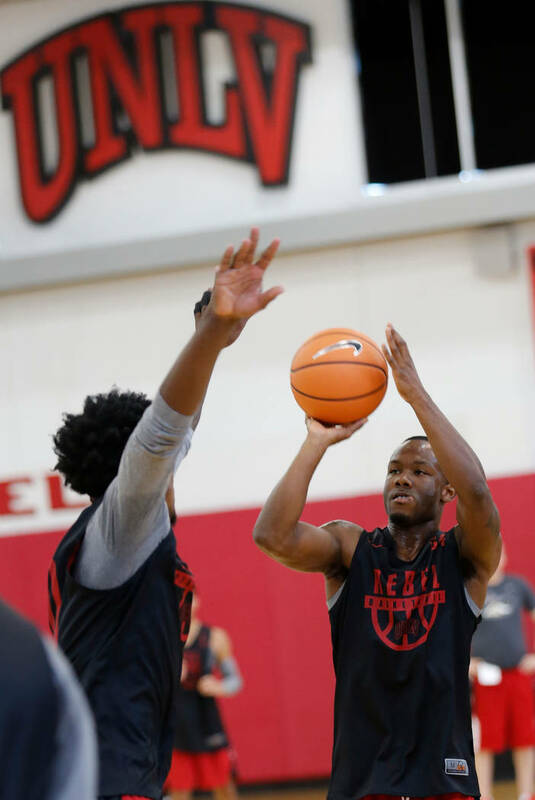 The Nanooks went 13-16 last season and return one starter, but this exhibition is about UNLV and how the game will provide clues about what to expect this season. 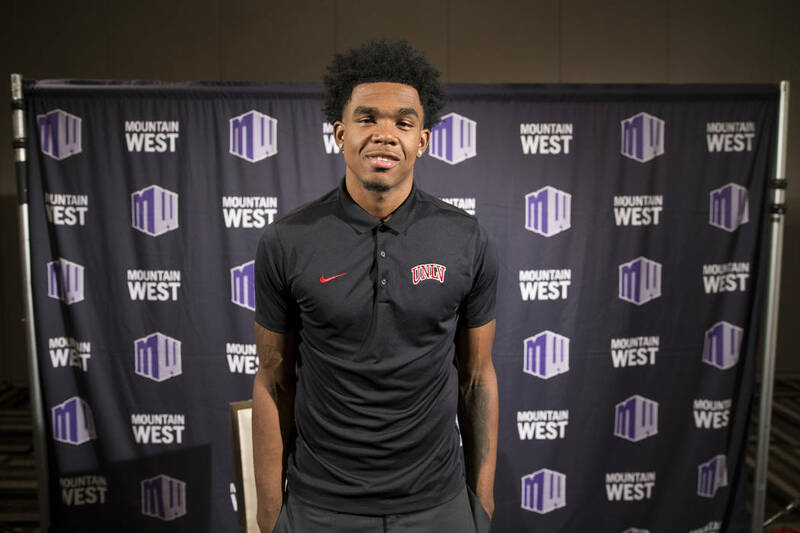 UNLV put together the Mountain West’s top-rated recruiting class, but Rebels fans have seen the program bring in plenty of talent before only to watch the team fall short of expectations. 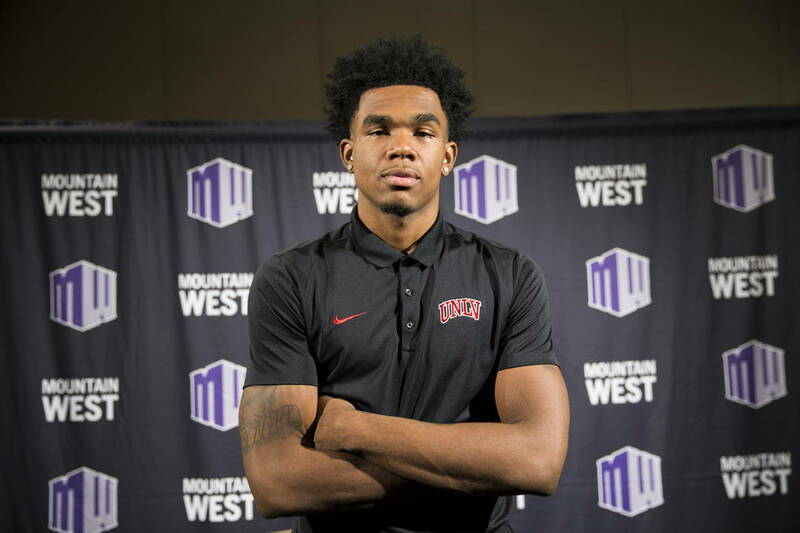 Maybe this time will be different given the Rebels’ experience at point guard in 5-11 senior Jordan Johnson. He finished second in the nation with 8.1 assists per game two seasons ago at Wisconsin-Milwaukee. 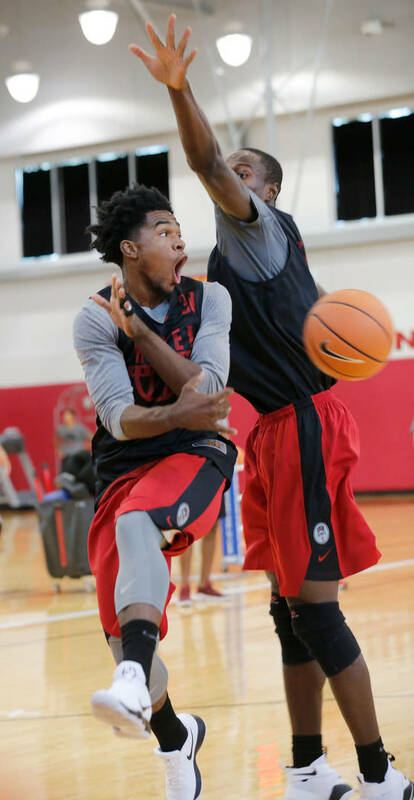 “I want all my teammates to be ready to catch and shoot or score at any time when I pass them the ball,” Johnson said. 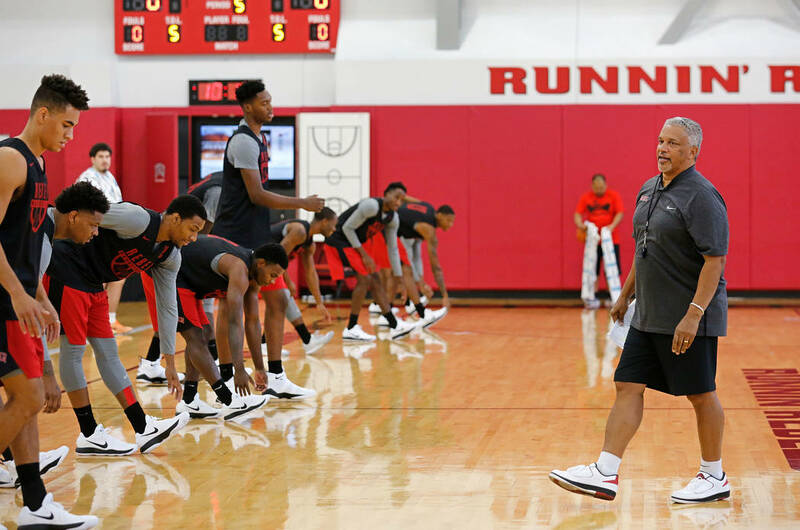 Menzies said he would like to play at least nine players on any given night depending on the situation. An exhibition is the perfect time to experiment with combinations. 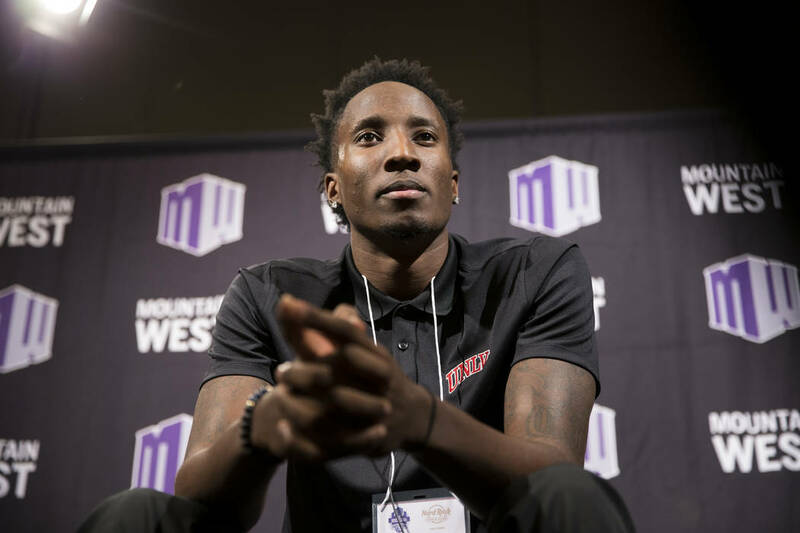 One problem: UNLV’s top recruit, 7-0 freshman forward Brandon McCoy, might not play because of an injured ankle. At the least, his minutes will be limited. McCoy did light running in practice Wednesday and looked as if he wasn’t far from being available. Menzies said a decision on McCoy will be made Friday. 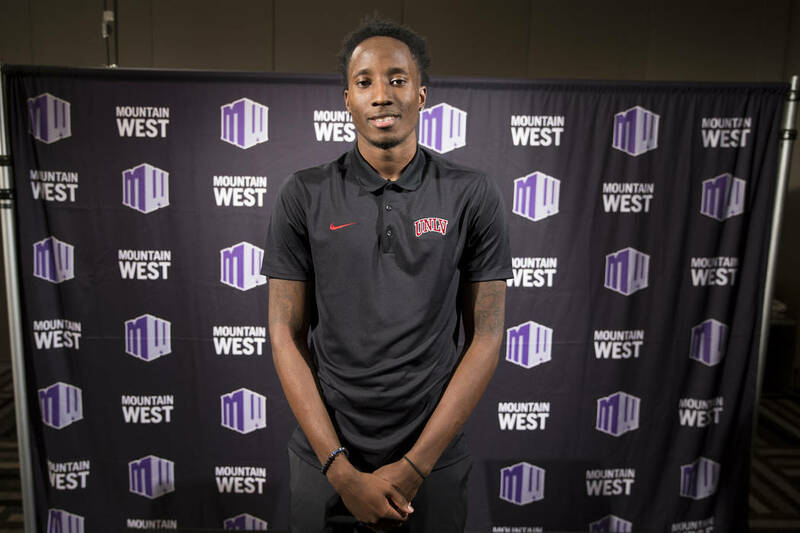 Expect the Rebels to go with a starting lineup of Johnson, Mooring, 6-6 junior guard Kris Clyburn, 6-7 junior forward Shakur Juiston and 6-11 sophomore forward Cheickna Dembele. 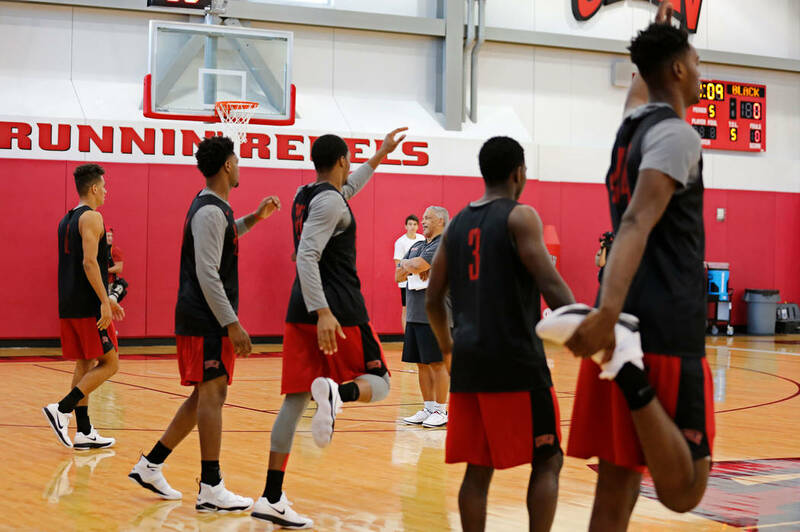 Menzies often has said he truly wants to be the Runnin’ Rebels, and in the portion of practice open to the media, the players got up and down the court. How many times they push the pace against Fairbanks could be telling.